BLS is an acronym that stands for Basic Life Support. This is often confused with Advanced Life Support that is delivered by medical professionals. BLS is emergency care provided to a victim whose heart is no longer beating. The BLS procedure provides a way to circulate a small amount of oxygenated blood, which can minimize damage to some parts of the body. Ultimately, BLS buys valuable time until advanced caregivers arrive on the scene, or the victim has been transported to a hospital. The most well-known BLS procedure is CPR, or Cardiopulmonary Resuscitation, a form of basic life support given when someone is experiencing a life-threatening emergency. 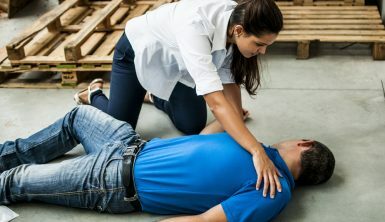 Some of the situations that require CPR involve suffocation, near-drowning, cardiac arrest or any situation that causes a person to stop breathing. So why may it be important to have a BLS certification? Others are required to be certified by a state or national regulatory agency. However, most professionals who need a valid BLS certificate are required to obtain one as a requisite to their employment. Some companies may be required to maintain a certain level of readiness that’s audited by OSHA, CARF or Joint Commission. Examples are daycare workers and teachers. BLS is an emergency level of care most often given by medical professionals such as paramedics, emergency medical technicians, and trained medical personnel. Of course, this includes medical workers such as doctors, nurses, dentists, medical assistants and CNAs. First responders are also required to obtain BLS training. This includes firefighters, police officers, and lifeguards. 3. You need a BLS certification because you learn how to save a choking baby. Sadly, accidental injuries that result in choking and drowning are the number one killer of children. When you go through CPR training, you learn that infant CPR is much different than adult CPR. For example, infant CPR involves two fingers pushing down a third to half the depth of the baby’s chest. Don’t discount the ability of older siblings to save an infant’s life. Kids as young as nine have saved someone they love by performing CPR. Automated External Defibrillators (AEDs) can be used to electrically shock the heart to attempt to get it beating again. AEDs can be found in many public places and pressing the button activates an automated instructional recording on how to use the device. If you have a loved one with heart problems, you may be able to obtain an AED for home use without having a prescription. Becoming certified to save a life takes you less time than watching a long movie. Qualified bystanders can and do save the lives of victims who suffer sudden, life-threatening illness or injury every day. According to the AHA, 88 percent of cardiac arrests occur while the victim is home. If you have an elderly parent, spouse or other loved one living with you and they go into cardiac arrest, performing CPR can triple their chances of survival. Since heart disease is the number one killer of Americans, you may wish to learn BLS so that you can help those you love in an emergency. Compressions and breaths are both required, especially for drowning, choking, pediatric CPR and drug overdoses. Compressions are most effective when given at a rate of 100 compressions per minute. Breaths should last over one second and you must provide enough air to make the chest rise. Don’t be afraid to help. If someone has a cardiac arrest, CPR only improves their chances of survival. Also, you might feel bad about it, but breaking ribs during compressions is normal. Just remember a few battered ribs are better than dying. Even if you are certified, it can be difficult to know the signs of a heart attack. Symptoms for women and men can be very different, and the same goes for diabetics. However, it’s important to act as soon as possible. Time is of the essence, and the more people who stand around doing nothing for victims, the more people will die before help can arrive. According to the American Heart Association, 383,000 people go into cardiac arrest every year. Without the quick thinking of those around them, many of these people may not survive. 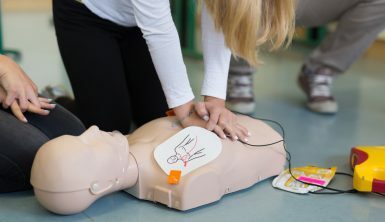 The odds of survival are not as great as you might expect for these victims, since only 32 percent of people in cardiac arrest obtain Basic Life Support, such as CPR, from a bystander. Practicing BLS requires a certification and should not be performed by untrained bystanders. However, the process is simple. In fact, the steps for CPR are often remembered using the acronym ABC, as explained below. Don’t forget that before beginning CPR, you should call 911. Make sure that the person has stopped beating and check for a pulse prior to beginning BLS. “A” refers to airways and reminds the practitioner to check that the airway is unobstructed. Otherwise, oxygen cannot reach the lungs and circulate through the body. “B” is for breathing and reminds the person performing BLS to breathe into the victim’s mouth. This helps oxygenate the blood. “C” stands for circulation. The BLS provider circulates the oxygenated blood through the body by compressing the victim’s chest. 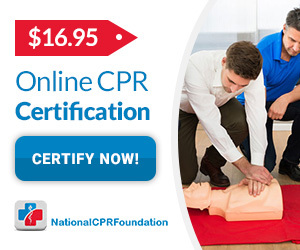 BLS certification is given to professionals and individuals who are required to obtain this training for their job, or who want to receive the training so that they can render CPR and other BLS procedures. There is both a written and a practical test for the certification. While the standards vary from country to country, the procedure is pretty much the same. Most of the standards are based on science presented by the ECC/ILCOR, which is an international organization concerned with cardiac care. BLS certification wins the successful applicant a wallet card identifying the bearer as a BLS certified individual. This card typically lists the training company, the card holder’s full name, a summary of the curricula and standard uses for the training. Whatever the reason, many people must get a BLS certification card, and it has to be maintained. Usually, a BLS card is good for two years. At that time, you must go through a BLS recertification. You can use a combination of classroom and online instruction to complete the course and prepare for the certification or re-certification testing. We have explored what BLS is and how it saves lives, including tips for delivering live-saving CPR once you obtain a certification. If you are still hesitant about taking on the responsibility, keep in mind that the life you save will likely be someone you know or love. Someday, you may need this assistance yourself. So, isn’t it better to be prepared to help when you can?